After graduating from UC Berkeley with a degree in English Literature, Lenkert began a career as a freelance writer – and never looked back. 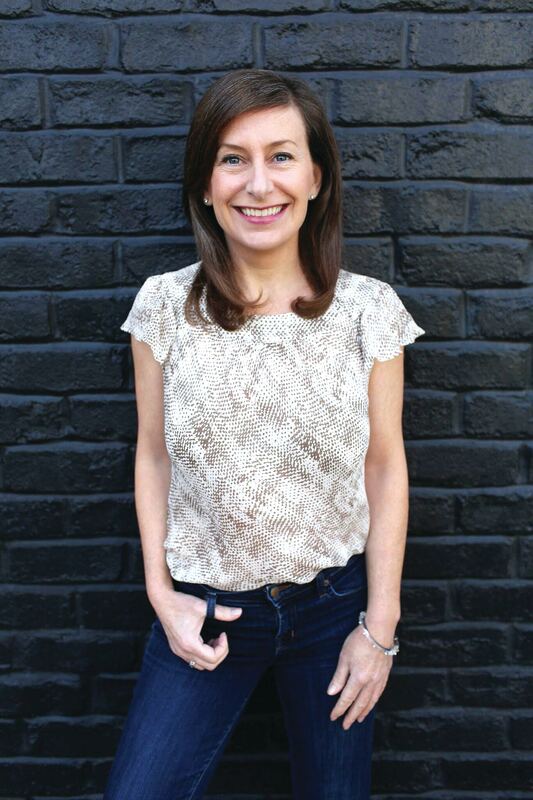 For twenty years, she’s been a food writer for both San Francisco and Los Angeles Magazines and penned prolifically for Food & Wine, InStyle, San Francisco Chronicle, Elle, Travel & Leisure, and numerous other outlets with an approachable but knowledgeable voice. Furthermore, she’s written several books, including Party Girl Primer, Raw with Chef Juliano Brotman, and The Real Deal Guide to Pregnancy. 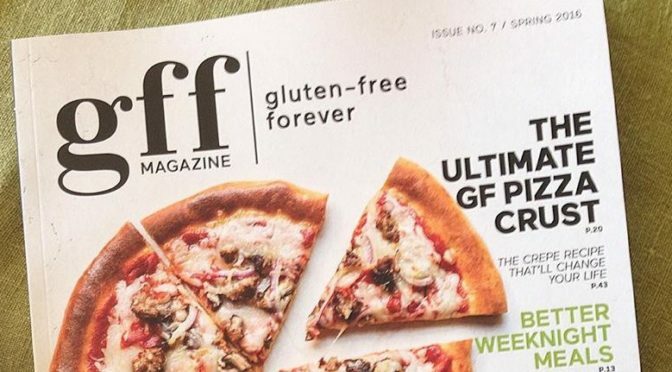 In 2014, Lenkert, who has been gluten intolerant since 2001, originated a Kickstarter campaign, raising close to $100,00 for a new culinary book about cooking without gluten; hence, GFF Magazine was born. “Starting a magazine was a crazy idea,” she says. “I feel like I bit off more than I could chew. I’ve always been more of a barter type of person but I found that I had to ask for what I needed without the possibility of giving it back.” At that time, she states, it was the most difficult in her life as she was going through a divorce, starting GFF, and found herself sick for the first time in her adult life with erythema infectiosum, commonly called the “fifth disease.” However, she never gave up her lifelong mission of creating a quality culinary magazine along the lines of Gourmet, except for the new health-oriented generation. “The food always has to be the star,” she says. 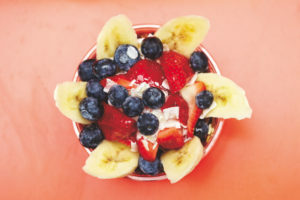 In March 2016, Lenkert partnered her second baby – she has another with two legs — with Meredith Corporation, who currently publishes well-read titles devoted to food and wellness such as Eating Well, Shape, and Better Homes & Gardens. Essentially, the relationship moves Lenkert’s quarterly publication from 12,000 issues to 250,000, with a newsstand price of $9.99 under their specialty titles. In today’s publishing world – with journals dropping like flies – it’s nothing short of a miracle. Truth be told, the deal was probably sealed with Lenkert’s infectious enthusiasm for her work in creating a culinary periodical. 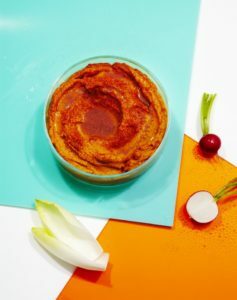 She – a runaway train knowing its’ true and right destination – states, “The name of the magazine might be GFF, but I want people to have the opportunity to cook and eat well. I want to give people happy food.” (Readers of i8tonite can receive a special price with the promo code: SPRING16. Sign-up via gffmag.com). What is your favorite food to cook at home? 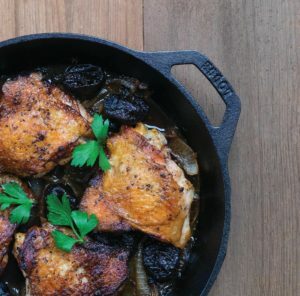 The “Best Effing Chicken”—a stupidly simple, over-the-top delicious boneless roasted chicken recipe taught to me by SF chef Daniel Patterson. It uses two ingredients and takes two minutes of prep, and it’s seriously fabulous. Or caramelized broccoli – I regularly make a meal out of it. What do you always have in your fridge at home? Califia Farms vanilla almond milk, butter, eggs, and peanut butter. What marked characteristic do you love in a person with whom you are sharing a meal? A penchant for skipping the small talk and getting right into the frank, honest conversation. What marked characteristic do you find unappealing in a person with whom you are sharing a meal? Resistance to sharing food. Beer, wine, or cocktail? Depends. GF beer after a long day, wine at a dinner party, and a Manhattan out with friends. 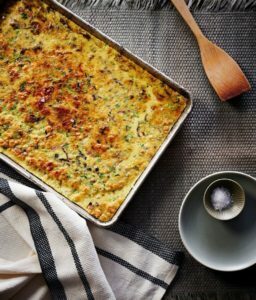 Your favorite cookbook author? I don’t have time to read or cook from cookbooks. With 45 or more recipes in each issue of GFF, whenever I finish one, I’m off recipe developing, testing, and writing for the next. Your favorite kitchen tool? A good knife. I’m not a gadget girl (less is more for me), but I do like my microplane, too. 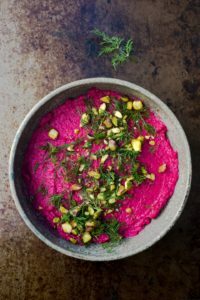 Favorite types of cuisine to cook? Favorite? Japanese. Most common? Italian or “Californian” (i.e., a bunch of fresh stuff thrown together). Beef, chicken, pork, or tofu? Chicken, though I’m leaning more and more toward a vegetarian diet. Chef you most admire? Hiro Sone. He makes such beautiful food. Literally and figuratively. Food you dislike the most? I’m not a hater. What is your favorite non-food thing to do? Travel, though that always includes food exploration. Where is your favorite place to eat? Anywhere there’s good company. Or good food. Or fun bar-dining. Or all three. Do you have any tattoos? And if so, how many are of food? My skin is unadulterated—except for the sun damage from iodine-baby oil sun-tanning in the ‘80s and living on Maui in my 20s. Get the butcher to debone 1 large whole chicken (they’ll do it at Whole Foods). Salt it with 1 teaspoon of salt 1 to 3 hours prior to cooking and reserve in the refrigerator until 10 minutes before cooking. Lay the chicken flat, skin-side up, on a rimmed sheet pan and broil it about 3 inches from the heat, or until the skin is very crispy and brown, about 10 minutes. Turn the oven temperature down to 250°F and cook for 25 minutes. Cut the chicken into entrée-size pieces, transfer to a platter, and prepare to be blown away.